OTR Trading has been proud to provide Mile Marker recovery systems to the South African market since 2006. In doing so we have become well established as the distributors of all Mile Marker products, probably the toughest winching system available for consumer, commercial and industrial vehicles. Mile Marker is a well established, highly regarded company in the automotive aftermarket and OEM sectors. Designers and manufactures of unique, high quality and highly durable products for your off-road vehicle. 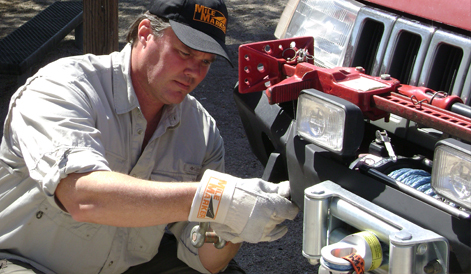 Mile Marker's products include locking hubs, conversion kits, electric winches and the legendary hydraulic winch system. 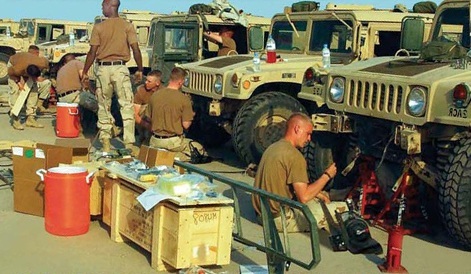 Mile Marker are an ISO 9001:2008 certified organization and an approved supplier to the US Military. For over a decade, Mile Marker has been manufacturing and supplying parts for a number of major OEM's. The quality of our products is assured. Mile Marker is an innovator. The legendary, patented hydraulic winch is the only approved supplier of winches for the U.S. Military's HMMWV (Hummer), all Mile Marker Military Hydraulic Winch systems must meet or exceed the extensive list of Testing, Quality Assurance, and Military Standard Requirements for the U.S. Government including a TACOM approved recovery system for every armoured HMMWV vehicle in the military. Over 33,000 Mile Marker Self Recovery Hydraulic Winch Systems have been delivered to the US Army without a single failure relating to manufacturing. This winch is powered by the power steering pump, allowing uninterrupted pulls for hours on end and operating in all climatic conditions. This is not only a great winch for the military, but for any serious off-roader. 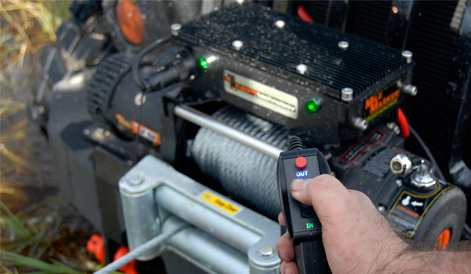 Mile Marker is currently introducing the world's first variable speed recovery winch. 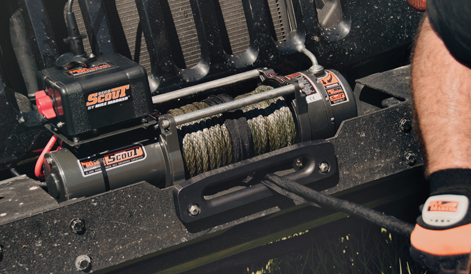 This winch allows infinite control of speed and power to provide the level of control needed for any winching task. The controls are all solid state with no solenoids or analogue electrical devices inside. When you need high quality, highly reliable, well tested products for your ATV or 4x4, you can count on Mile Marker and our team of professionals to help you out. When you are out in the wilderness, take Mile Marker with you giving you confidence that you will be back home for a cold beer and warm bed. 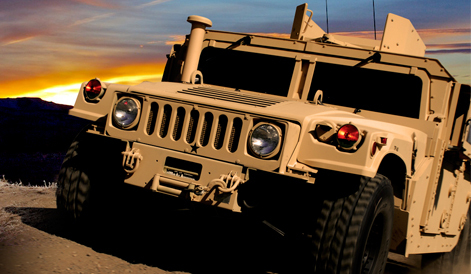 Mile Marker is currently working with many tactical vehicle manufacturers in the development of recovery systems for the MRAP, JLTV, and M-ATV programs.